TEAM TEACHING TRAINING – October 25 or 26, KSU Polytechnic, Salina, KS. (2310 Centennial Rd, Salina, KS 67401) 8:30 a.m. to 4 p.m.
Do you have faculty who want to integrate their teaching? 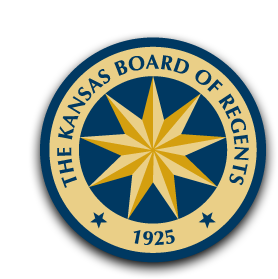 Have you received a KBOR integrating academics grant? Do you participate in AO-K? Do you WANT to participate in AO-K???? If you answered yes to any of the above, click below to register AT NO CHARGE for this workshop! Several of YOU indicated a need for this type of training, so here it is! This is a Perkins & AEFLA allowable professional development expense! TIME: 1 – 5 p.m. Plan to bring a data and finance person if you wish, and the new Perkins V handbooks will be provided for all attendees. No registration necessary. Take a look at the current lineup of pre-conference workshops, keynote speakers, panels & lots of great information! Please share this information with your department chairs, advisory council members, and local workforce development board members! Check the schedule and registration here: https://bit.ly/2NSvQMD We will also have Perkins, Adult Education, WIOA & funding updates during pre-conference sessions.